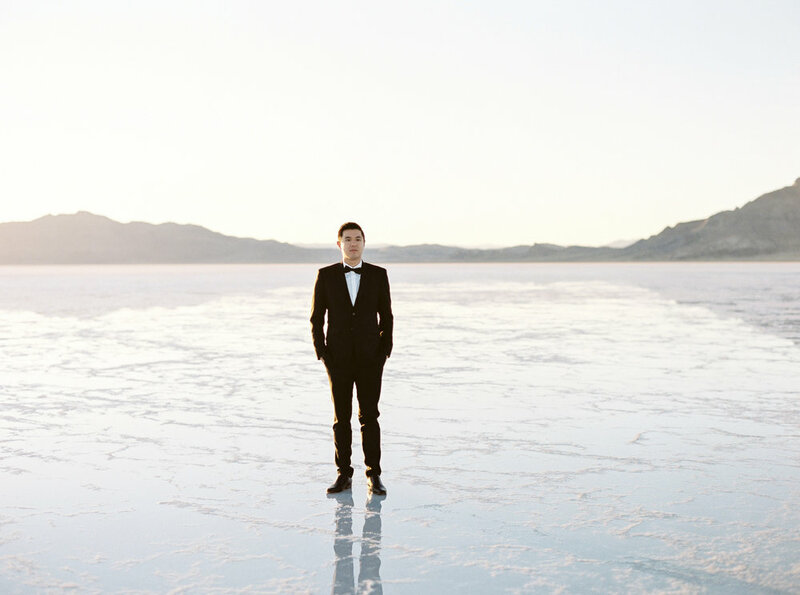 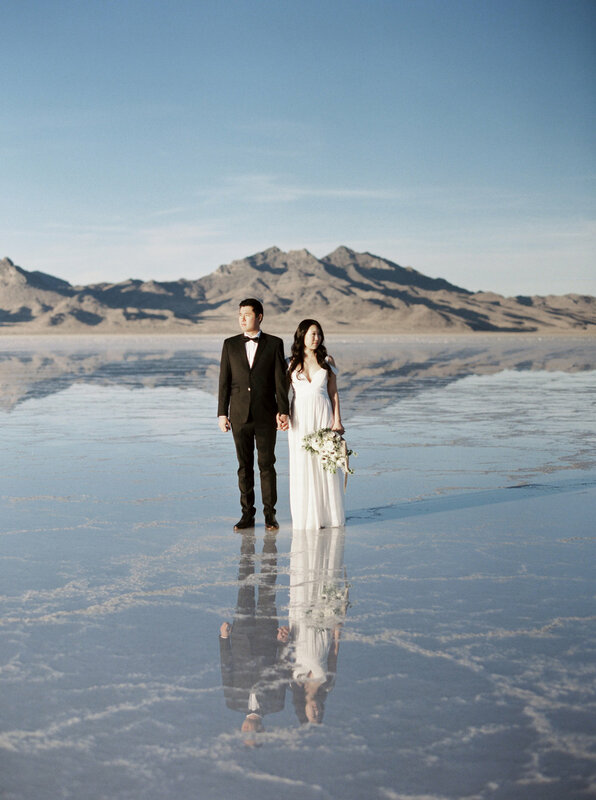 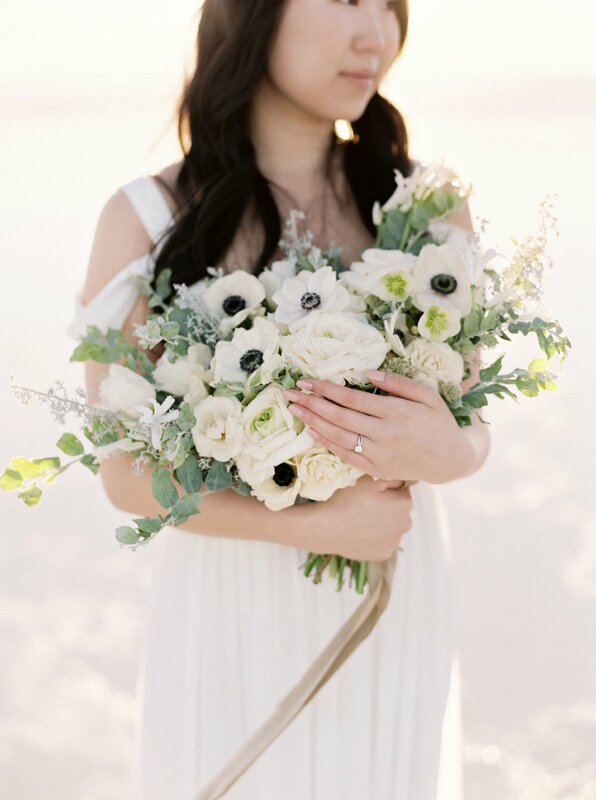 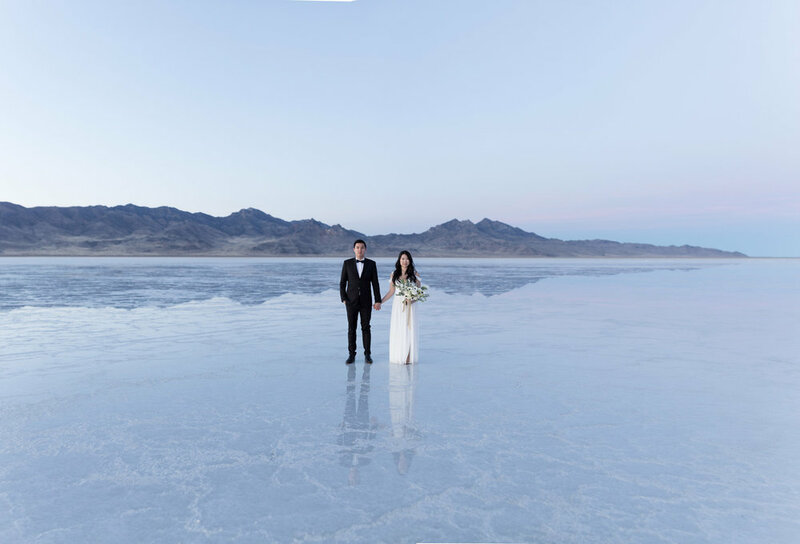 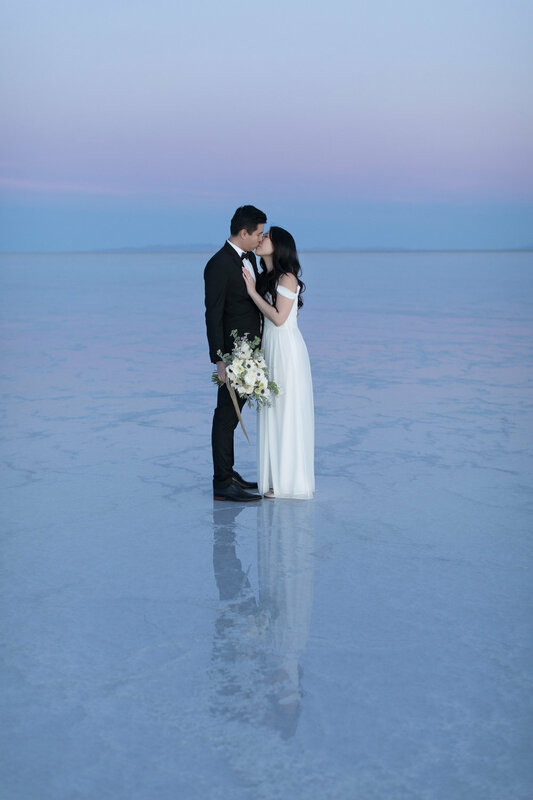 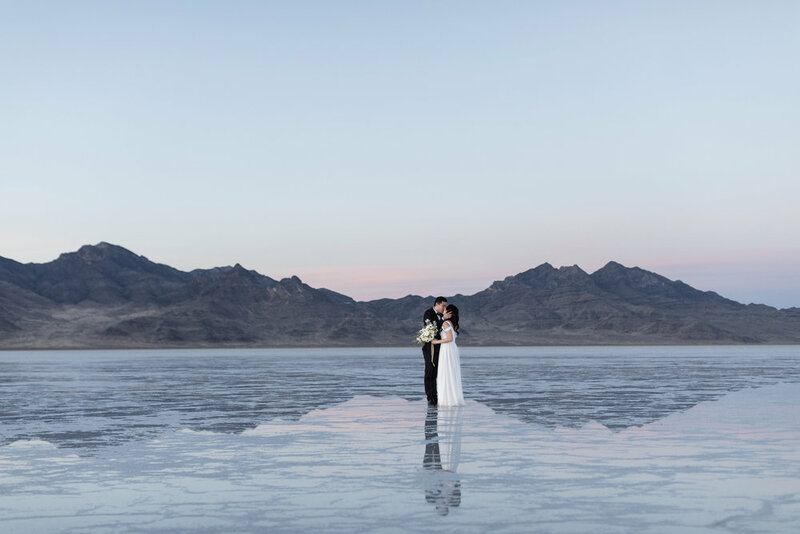 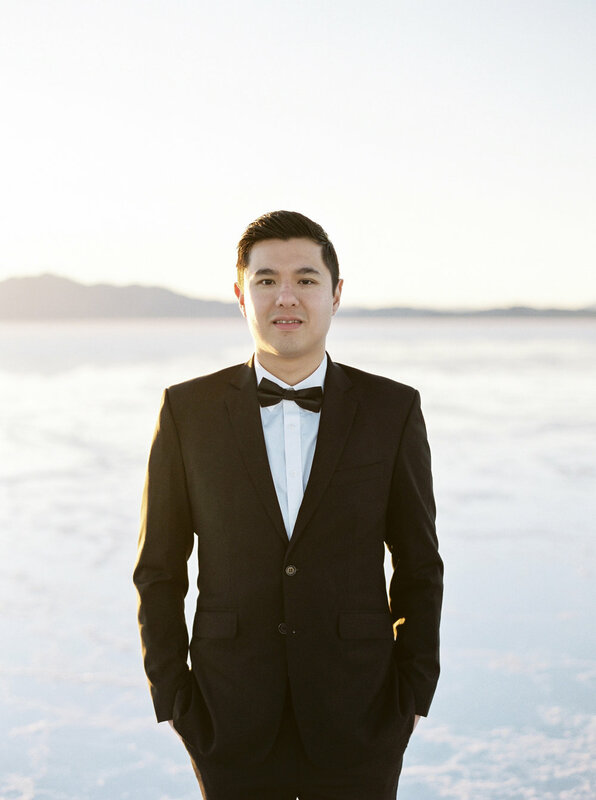 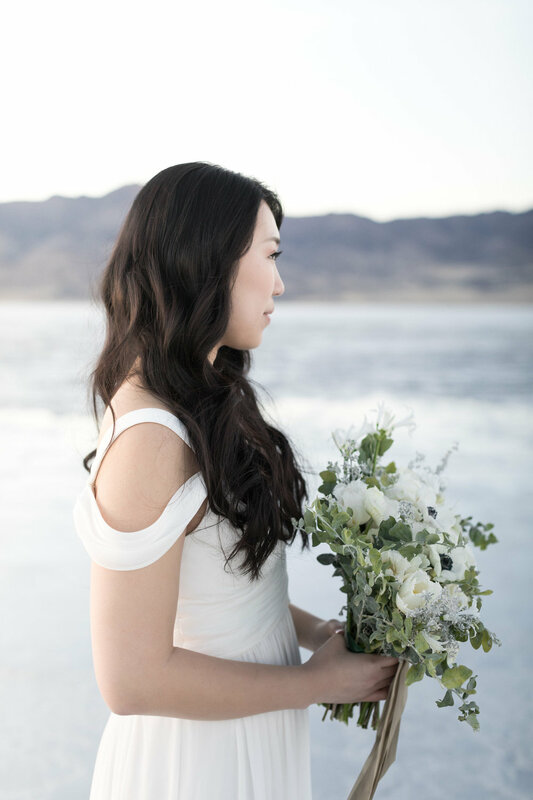 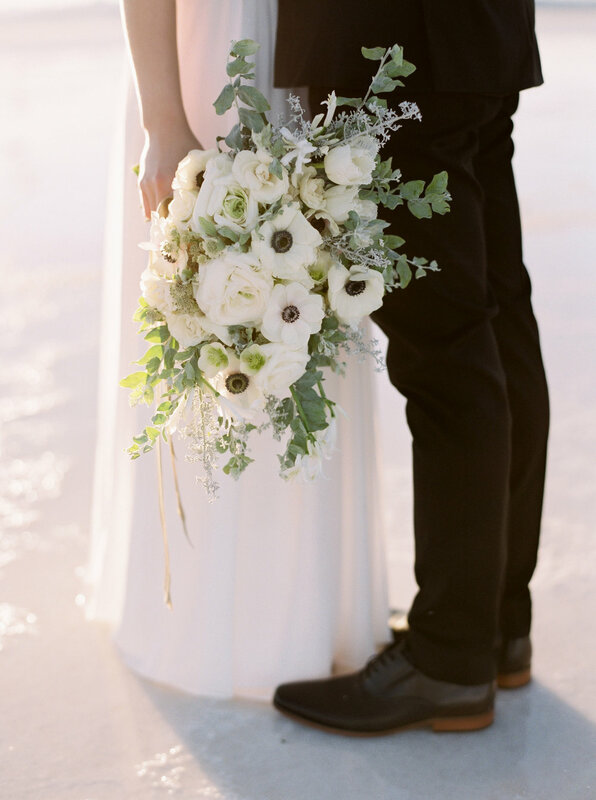 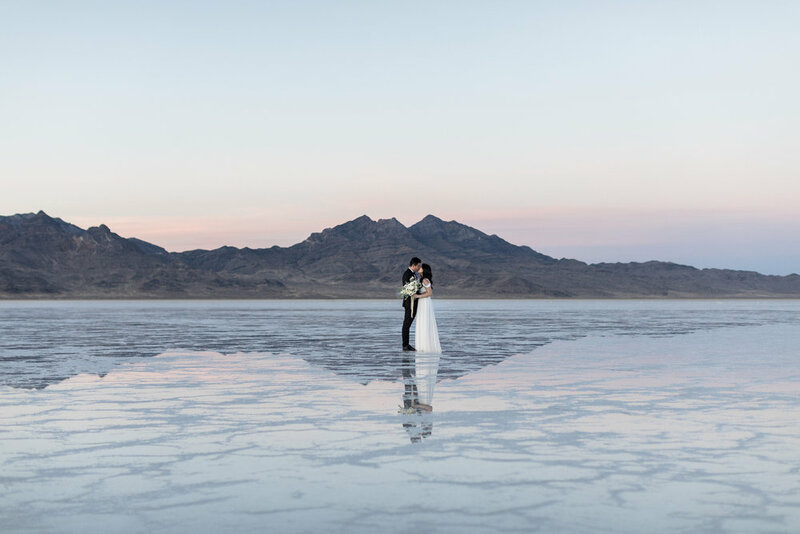 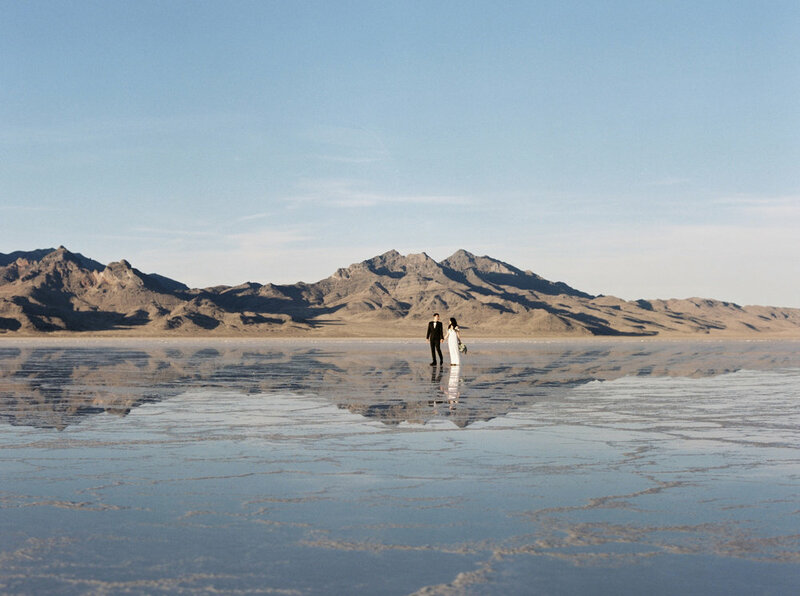 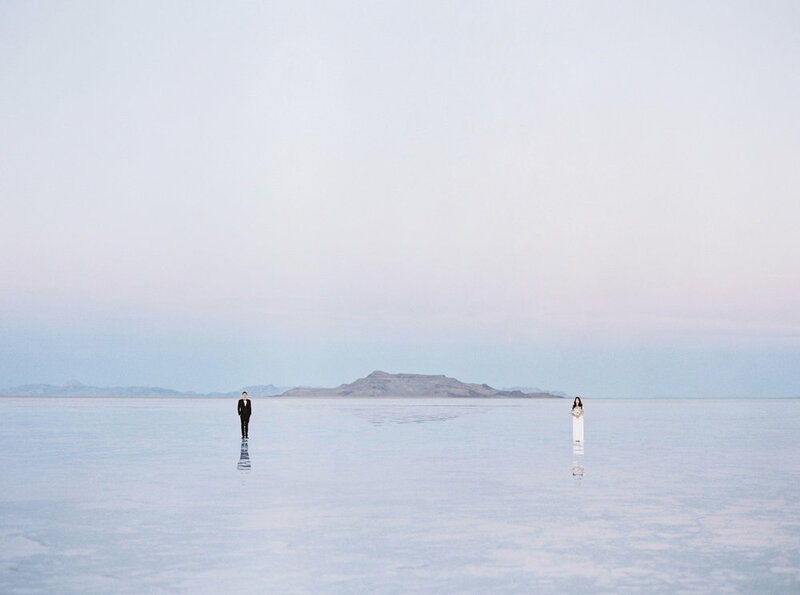 I absolutely love taking wedding pictures out at the Salt Flats! 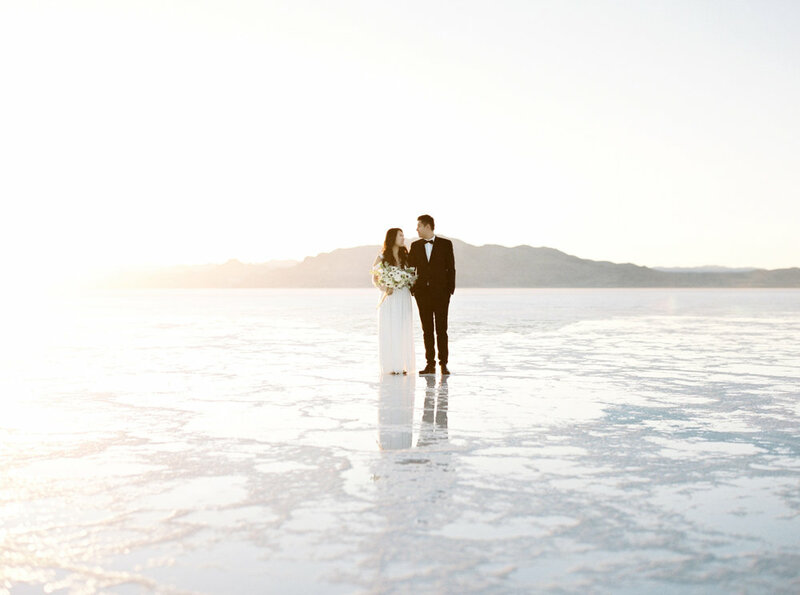 It's one of my favorite places to shoot in Utah and I know I say this a lot but each time I shoot at the Bonneville Salt Flats is truly a unique experience. 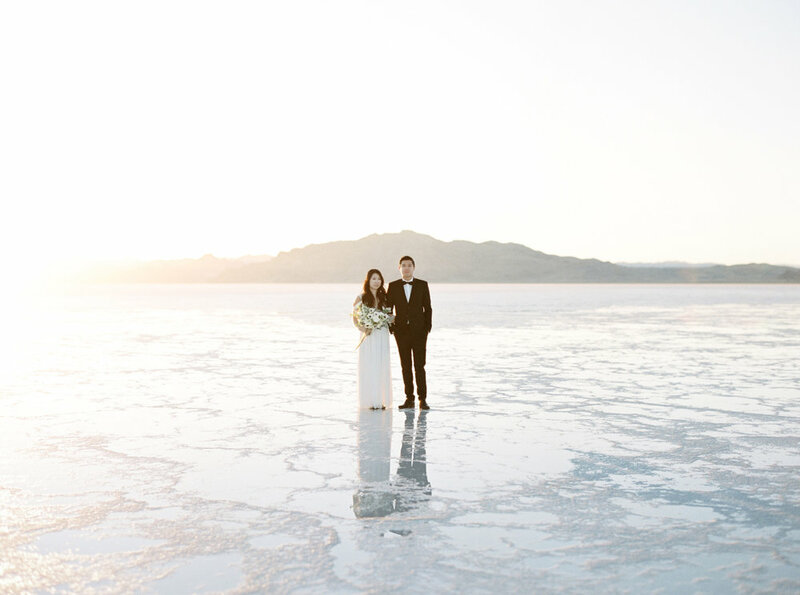 It doesn't seem like the Salt Flats could be all that different but you never know what you are going to get. 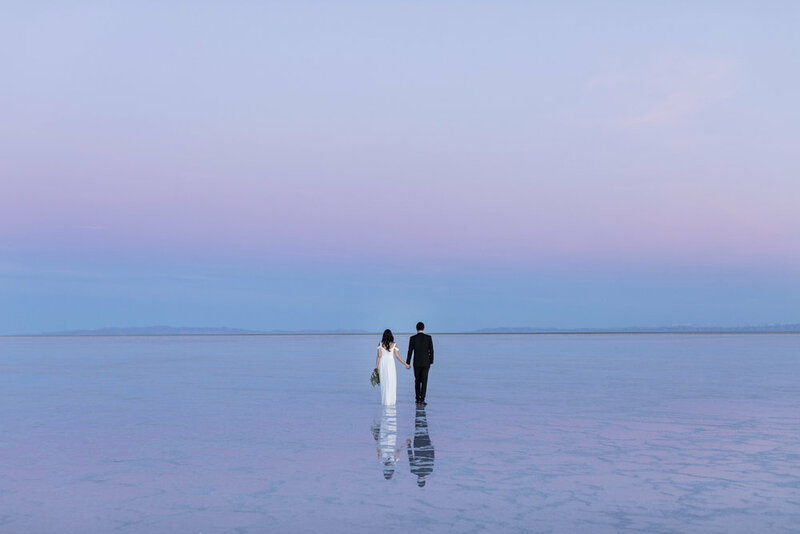 I have been out there when the skies are clear, when its over cast, when the flats are completely covered with water, when its foggy and ridiculously could and when sunsets turn the place pink and of course when its so windy you can barely stand up! 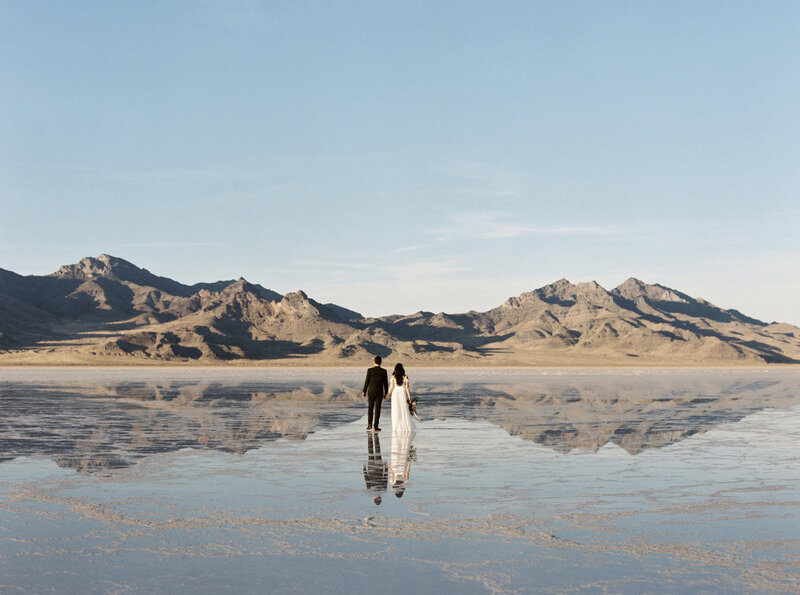 It really is an amazing place to go and experience! 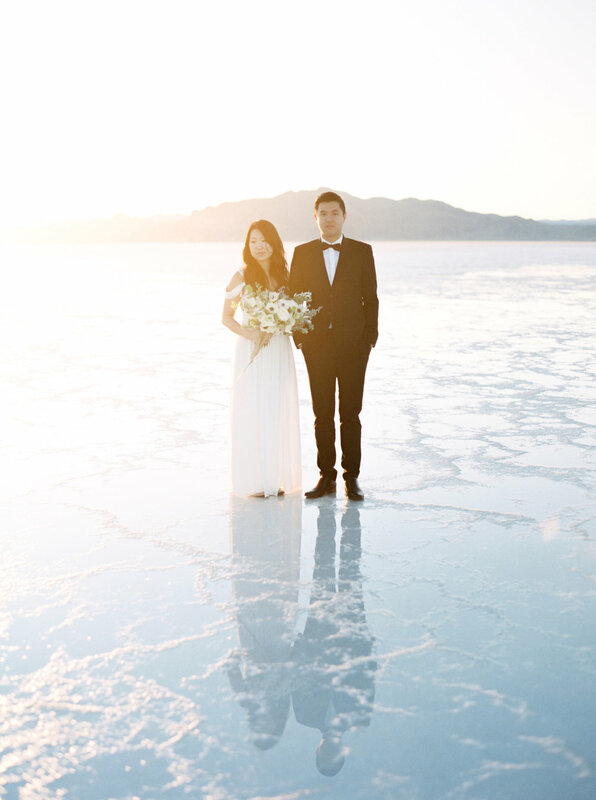 This couple couldn't have asked for better weather or lighting. 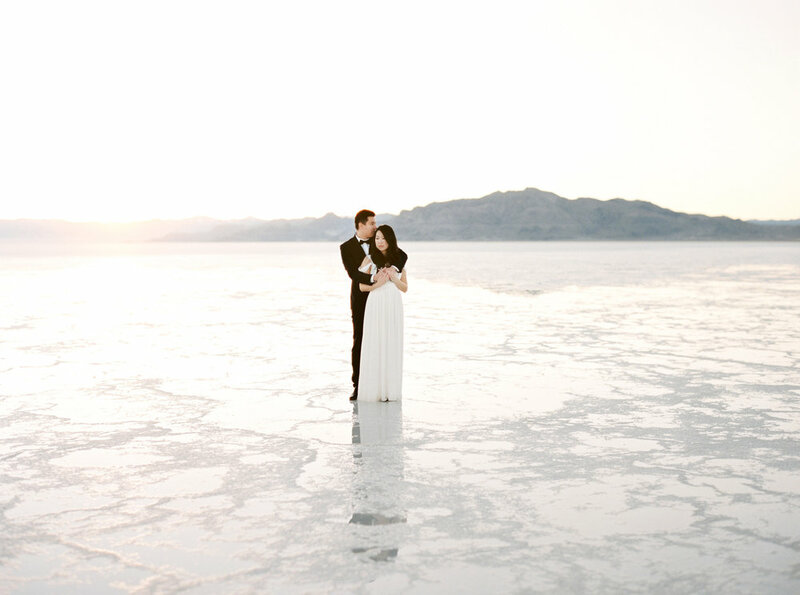 I remember during their session thinking to myself how breathing taking the day was. 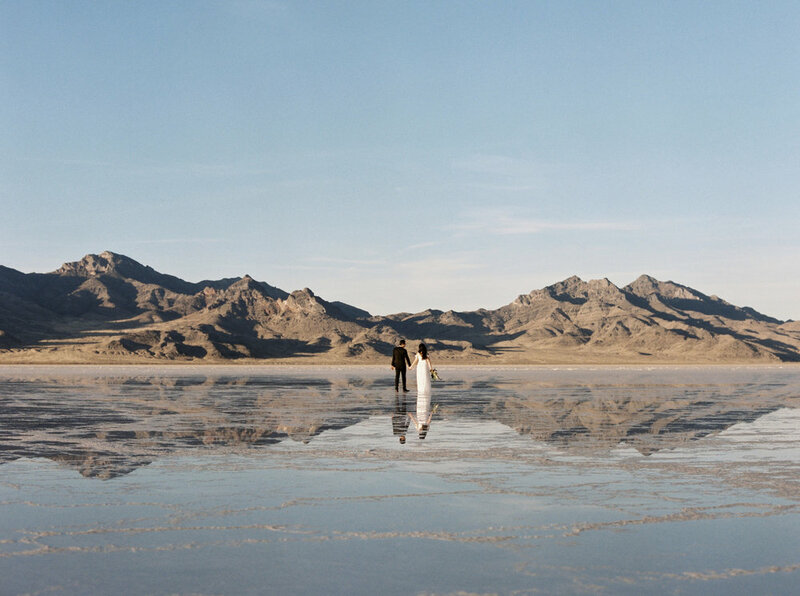 I love when I catch a little water on the flats and get see the reflections as my couples walk across the flats. 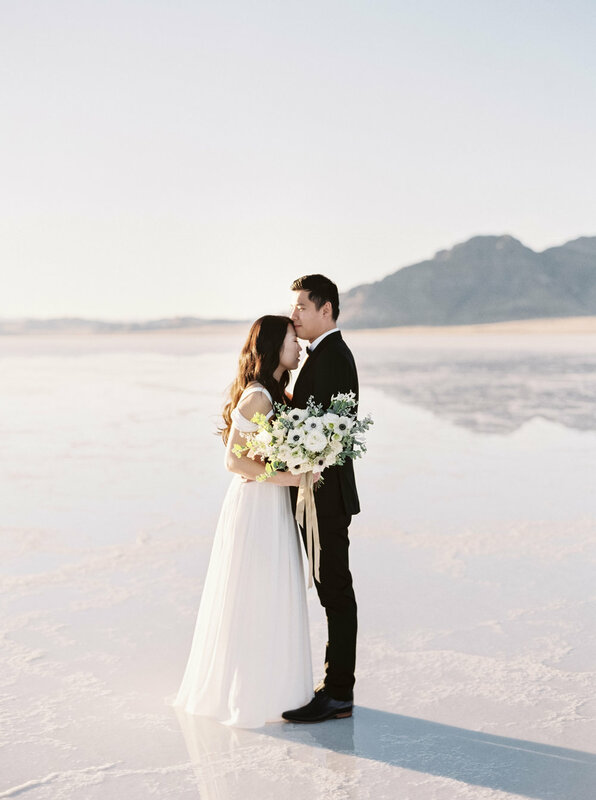 There are two sets of images in this post. 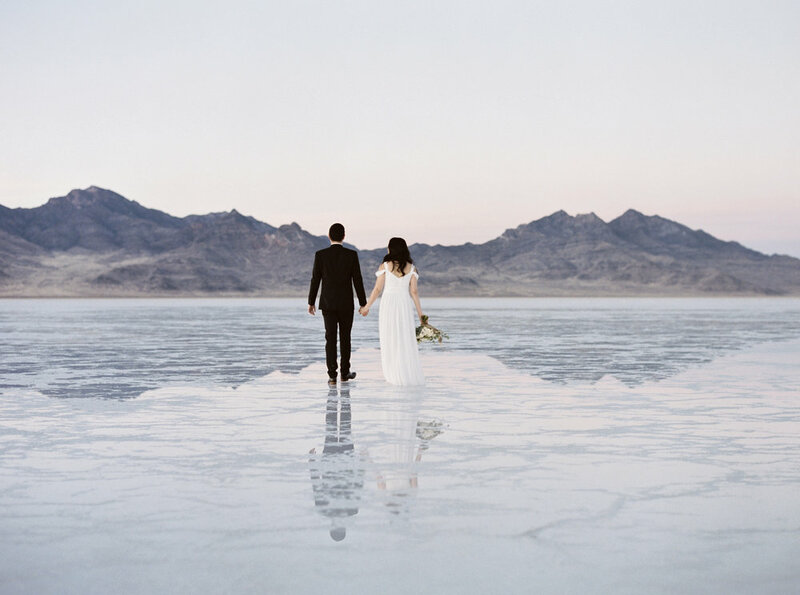 First you will see my Digital Images taken with a Canon 5dM4 followed by my film shots taken on a Contax645 with Fujifilm! 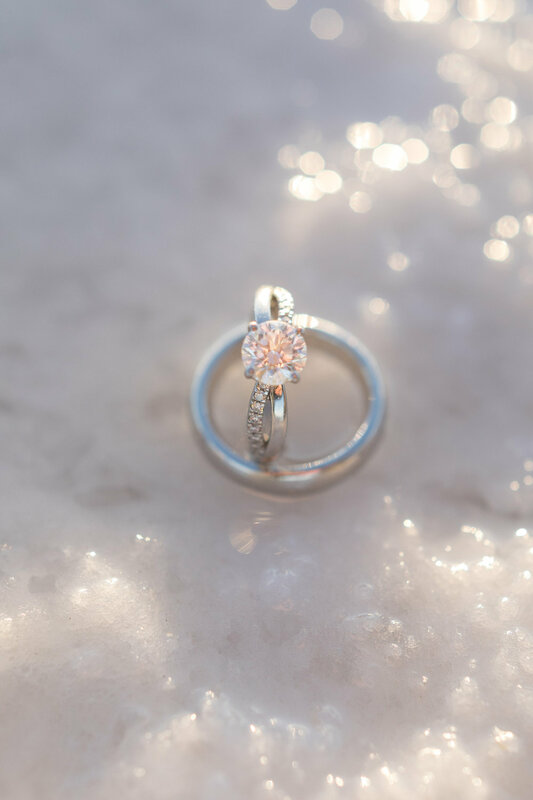 Leave me some good comments!